Sometimes hiring external candidates to meet these needs is a sound strategy. However, according to research by the Center for Creative Leadership, an astonishing 66% of senior managers hired from the outside fail within 18 months. Clearly, our historic view of leadership and talent pipeline readiness will have to be redefined. SHRM and AARP research indicates that many organizations have addressed the near-term challenge with creative solutions such as hiring retired employees as consultants or temporary workers. Others offer more adaptive working conditions such as flex hours, telecommuting, part time and job sharing. While these tactics help bridge the gap, they do not represent a solid strategic approach to fulfilling the organization’s long-term talent needs. Harrison Assessments Talent Solutions can help you attract, engage, retain, and develop for succession the most suitable candidates for your particular company and culture. Developing from within organizations both for technical and leadership roles will be crucial for organizations to be talent ready. 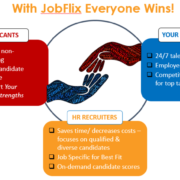 Make sure that the time and resources spent filling your talent pipeline are used effectively with talent analytics and behavioral assessment that international employers have used successfully to integrate talent management and align with business needs.